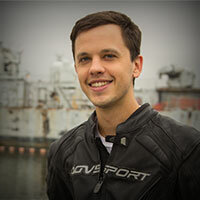 Bell has teamed up with Irish road racer Michael Dunlop to create the perfect helmet for the track, the street, or if they are one in the same. When you are blasting through the Mountain Course flat out, the last thing you need to worry about is your head bobbling around. 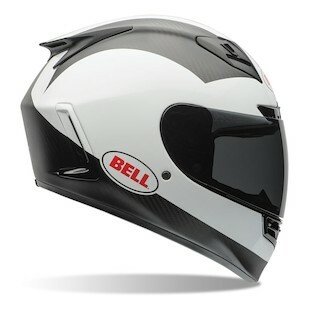 The Bell Star Carbon Dunlop Helmet shares the youngest brother’s quintessential TT styling with a bold Carbon and White colorway. The Star Carbon is Bell’s flagship race helmet with a carbon composite shell that is extremely lightweight and aerodynamically optimized for stability and comfort at high speeds. Like any good race helmet, it has an effective and adjustable ventilation system for optimum comfort in varying conditions. Plus, the helmet is certified to the latest Snell M2015 standards so it is track ready right out of the box. Ultimately, the Star Carbon Dunlop is a great helmet for the street circuit. From the materials to the design, it checks all the boxes for a top-tier race helmet. The Dunlop’s have one of the strongest legacies in road racing, and with this graphic, you can share in their rich history.